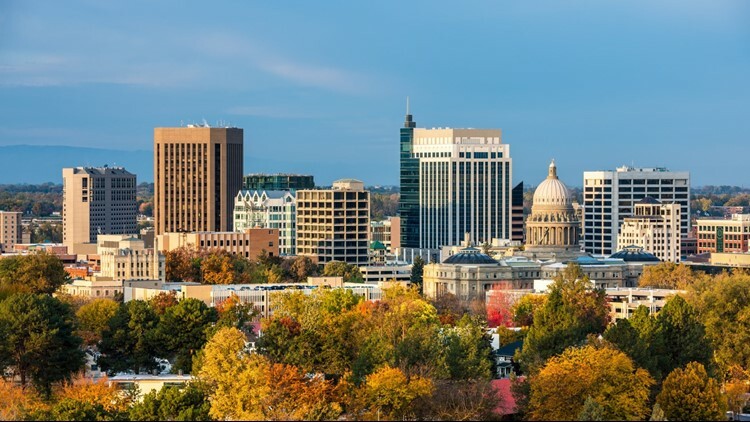 Beauty shot of Boise skyline. Apartmentguide.com lists Boise at No. 4 in the nation when it comes to rent increases. BOISE — While rent may be cheaper in some areas around the country, Boise is becoming more expensive. Apartmentguide.com lists Boise at No. 4 in the nation when it comes to the average increase in rent costs over the last year. The website looks at the U.S. Census Bureau’s 100 most populated cities and its internal data of average entry-level rental prices to pinpoint the largest rent increases from July 2017 to 2018. Due to low vacancy rates and average rent prices, Boise rent prices are 11 percent higher than this time last year. Up from $882, rent will now cost you on average $978 a month. That is an average of $1,152 more per year. Spokane, Washington, was number 3 on the list, due to "record low vacancy rates" and 13 percent increase in average rent prices, costing you $1,104 more per year. California topped the list of places where rent is more expensive, with three cities making the list. Florida comes in at a close second with two.